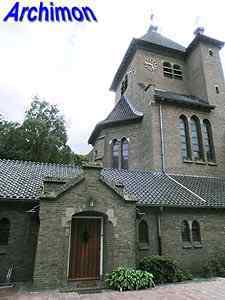 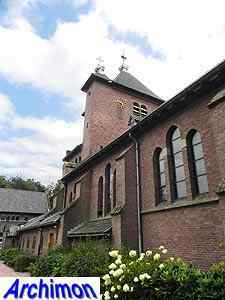 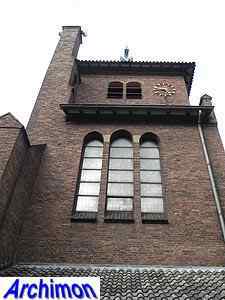 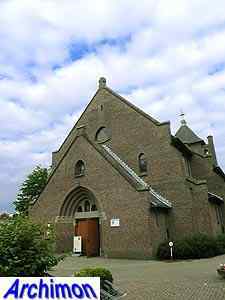 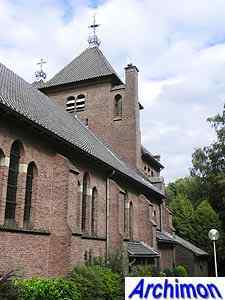 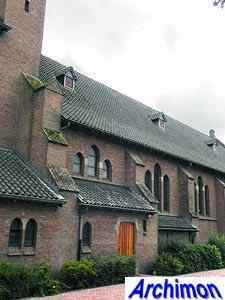 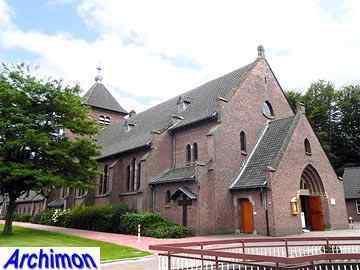 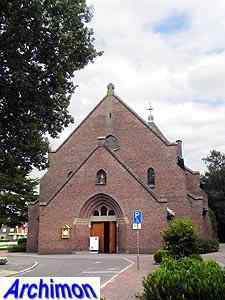 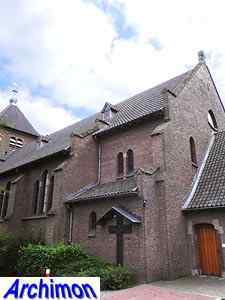 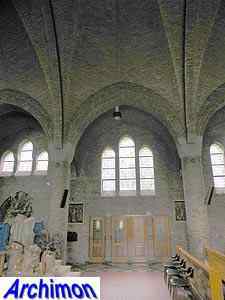 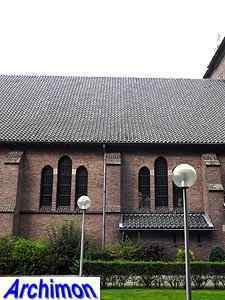 The catholic church of Mariënheem is as old as the parish itself. 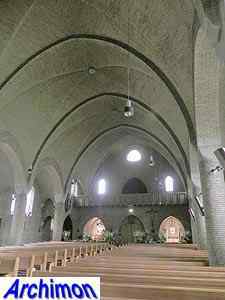 It's a three-aisled pseudo-basilica in Traditionalistic style, with the wide central aisle and narrow side-aisles as typical for that style and this period. 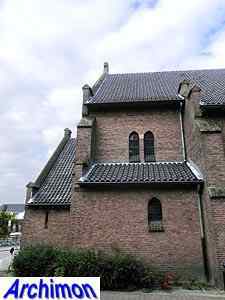 On top of the choir is a square tower. 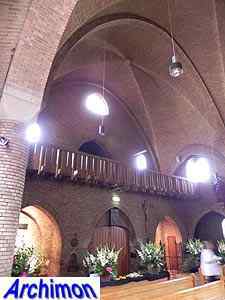 At the back, a hallway connects the choir with the presbytery. 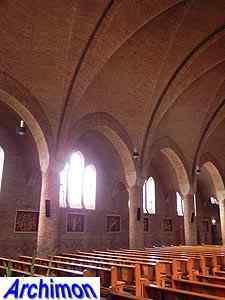 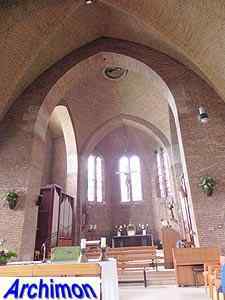 The church is built out of brick mostly and has all brick vaults. 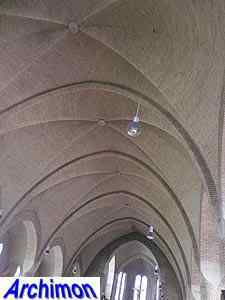 Natural stone is used for decoration only. 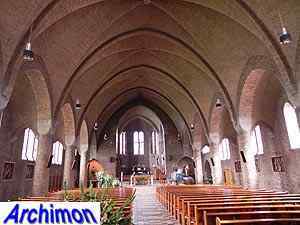 It was one of architect G.M. 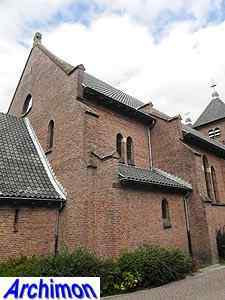 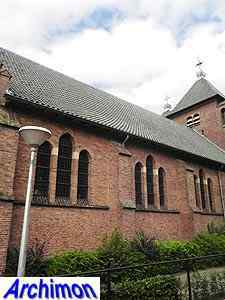 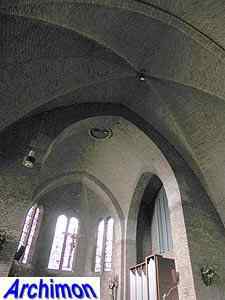 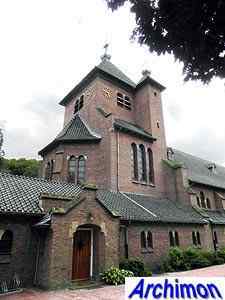 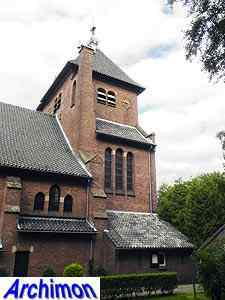 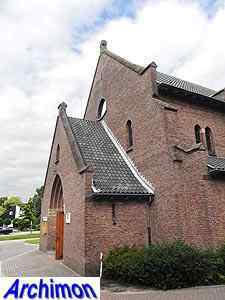 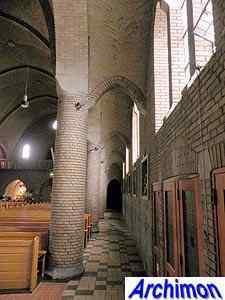 Leeuwenberg first churches; after the war he designed several more, mostly inspired by Romanesque architecture.